The village of Gatlang is located in the district of Rasuwa, 80km North-West of Kathmandu, 15km for Tibet and 2240m altitude. 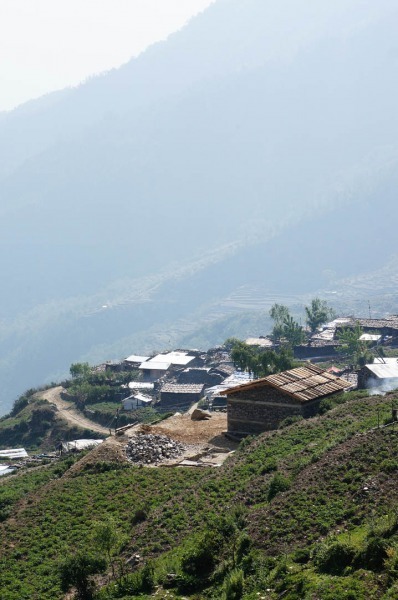 Gatlang is a dense traditionnal Tamang village of 350 houses and 2000 inhabitants. 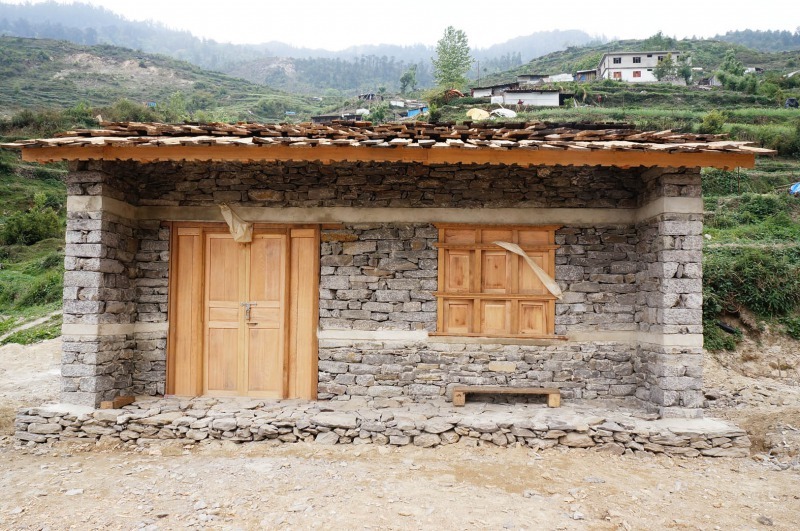 The earthquake of 25th april 2015 has partially or totally destroyed most of the houses. Azimut Nepal, a local trekking agency, collected funds and initiated actions directly after the earthquake, starting from emergency help. A prototype-house as been built in order to inspire the community for stronger reconstruction and as a training for local qualified workers. 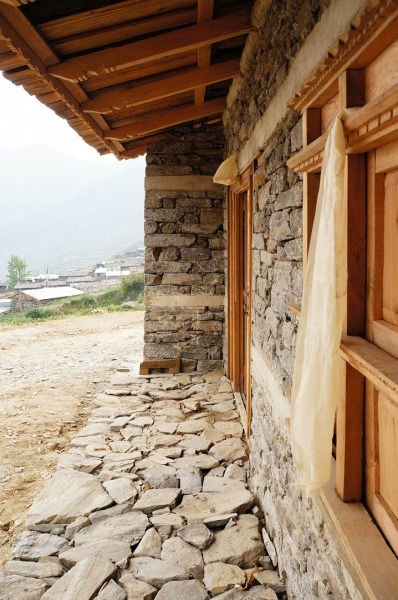 Gatlang is adense village in Nepal with a typical architecture. The majority of houses are oriented towards the East, toward the rising sun which represents the Life. The East facade is entirely made of wood, ornamented with sculptures representing different Tibetan mantras. 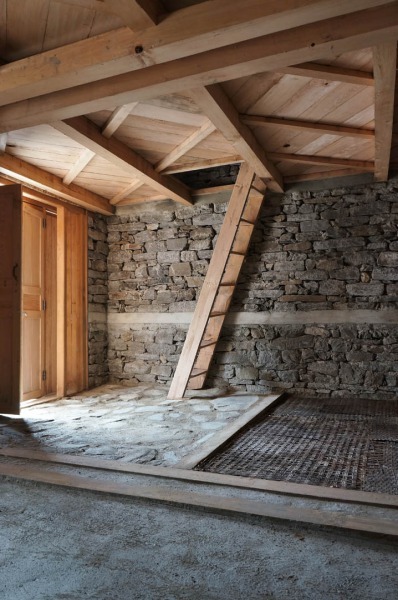 The three other load-bearing walls are made of dry stones masonry. 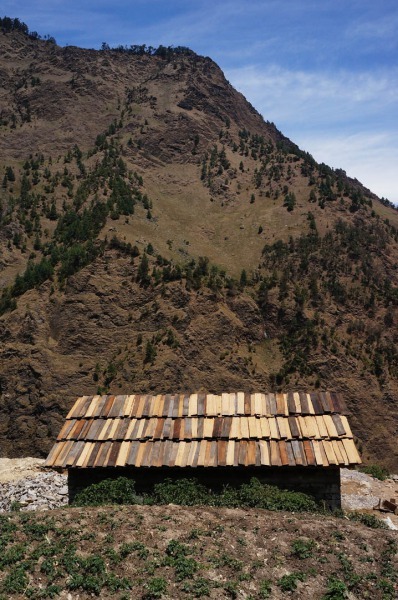 The traditional roof is made of stacked wooden planks. 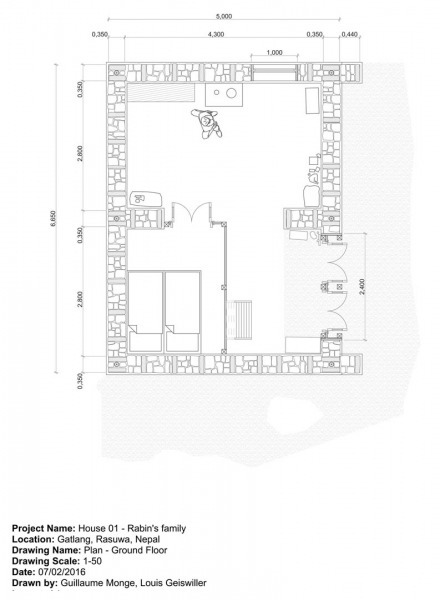 The goal of the project is to suggest a prototype house, inspired by the traditionnal knowledge, adding anti-seismic structural concepts. The construction should encourage the villagers to a meaningful reconstruction of the village while preserving it's architectural identity. The construction and quality of implementation must inspire confidence. The anti-seismic concepts introduced are simple and inexpensive. The main materials are derived from local natural resources. The rest of the material comes from Kathmandu or from the nearest town: Shyaprubesi, 15 km from Gatlang. Through the construction, is trained a team of 13 local skilled workers. Gatlang as lot of fertile lands all around the village. The relatives helps one an another to cultivate alternatively their lands. Womens, mens, and young teenagers helps on the field, starting from early morning, having very precise roles. Only animal traction is used. Gatlang suffers from a lack of water. They cannot grow any rice and are limited to cultivate mainly potatoes, millet, wheat, lentils, spinach, and corn. The people's red cheeks reflects their lack of nutriments. The implementation of new vegetable is very difficult in this community because their are very conservative. The sun of Gatlang is very strong but it doesn't get too hot due to the constant cold wind coming from the upper mountains. The sun is so strong that it turn the wood used on the house to a very dark color, which gave the surname of "Black village" to Gatlang. Winter gets really cold. Inhabitants sleeps in one common space, upper floor from the cattle and around the cooking fire to get a bit of heat. During monsoon, they sometimes sleeps in the attic floor to get more ventilation and less humidity. Description: Earthquake resistant house prototype. Reconstruciton of a school building.